One of the options that you have after completing you Class XII is pursuing B.Sc. in Horticulture. 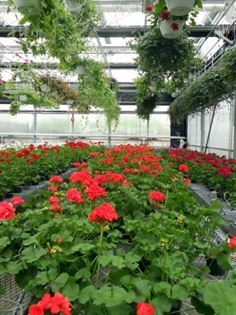 It is the science which deals with science of cultivation of flowers, vegetable, fruits, herbs, shrubs, bushes, ornamental trees and landscaping for gardens green houses, gardens, orchards and plantations and also floriculture or cultivation of flowers. There are further some subjects that are studied under the course which deals; such as vegetable science, production harvesting, landscape architecture, plantation crops, floriculture. To pursue a Bachelor’s course in Horticulture Sciences, one needs to be a Class XII pass out with the combination of physics, chemistry and mathematics/ biology/ agriculture. One can apply for either a bachelor’s in Horticulture or Agricultural Science. In order to pursue a Master’s degree, one must complete his Undergraduate in 60 per cent plus marks. Also the graduation should be in the in same or related streams. For instance, in order to get admission to MA in Pomology; Floriculture and Landscaping; or Vegetable Crops a B.Sc degree in Agriculture or Horticulture is required. A lot of students choose the Horticulture studies in India. Since agriculture deals with plant breeding which is late on consumed by human beings so it has a lot of scope in terms of career opportunities. Thanks to modernization it is no longer a study of land owners or of the needy. The course with developments has brought with itself the wide variety of job opportunists in the public and private enterprises. Although both the private and public sectors offer a good remuneration to its employees but the private sector is better rewarding. A person at the top of his game can be paid lucratively as the industry is growing rapidly and there is great need of good quality plants, flowers, fruits. Also the advent of technology has brought with itself the need for more sophisticated products which can be less perishable than their counter parts. Also the export industry is helping build up the amount of available jobs. Horticulturists and Landscapers are employed in resorts, hotels, and in health farms in order to decorate their settings. Postgraduate students can work as supervisors, researcher, distributors, and engineer; or they can also start his/her own business. Corporation and Food Corporation, State Farm Corporation and National Seed Corporation. Estates and tea gardens: There are ample of opportunities in estates and tea gardens which also offer great remuneration. Agricultural Engineering: This sector deals with conservation of soil and water, power, agricultural machines, and farm structures. Engineering graduates can venture into this field. Agriculture Management: Students possessing knowledge of management and agriculture are the need of this industry and can venture into estates and tea gardens. Services Sector: this field revolves around fertilizers, seeds and chemicals at reasonable price and also to provide quality food products. Self employment: Like most other industries graduates can start his/her own business such as agriculture product shops, agri-base industry, etc. One can also venture into farming, conservation, seri-culture, agri-business, research, agricultural education, agricultural journalism and many more.